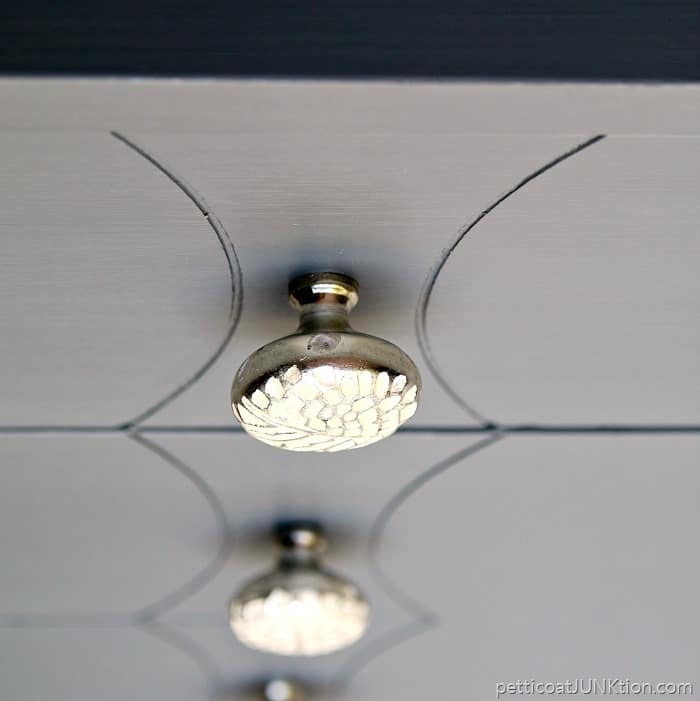 It is so easy to replace furniture hardware and I’m going to take you guys through the process today. 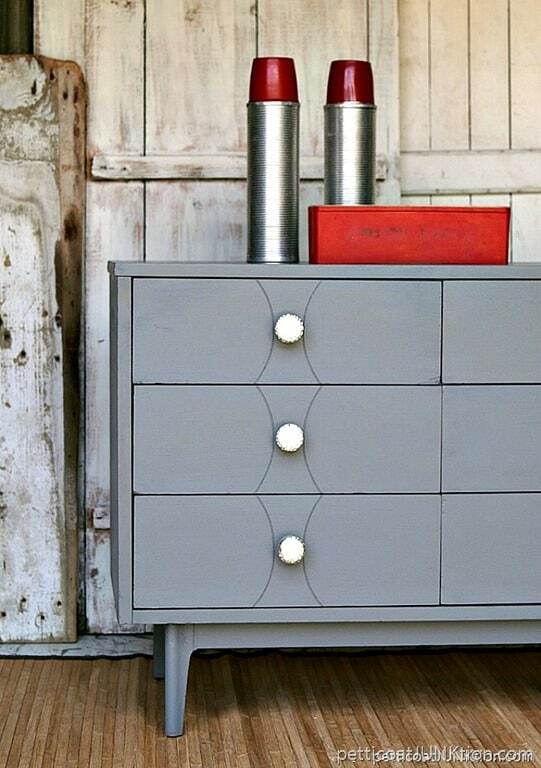 Changing the hardware on furniture makes a big impact and it’s really easy. If you can operate a small power drill you’re good! I love my drill. The drill and the sander are my two favorite power tools. The first Christmas ( about 10 years ago) I asked for power tools I think the JTS freaked out. 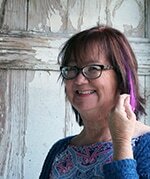 What woman wants power tools…..much less for Christmas. Me. This is the furniture before makeover. 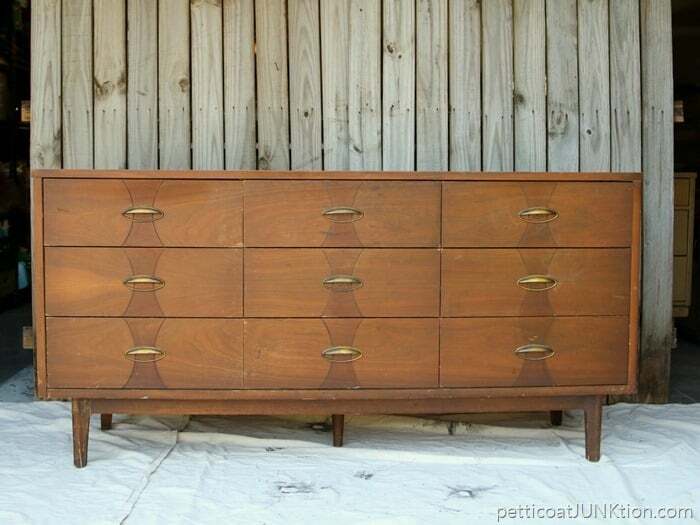 The piece looks like an office credenza. Not very pretty for the house. The hardware is a little too plain for me. 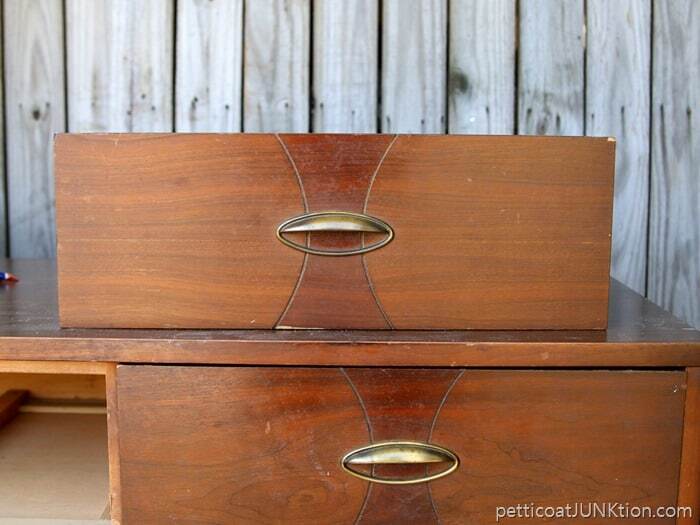 When I remove the drawers from a chest or dresser I always make a mark on the back as to placement of the drawer. Makes it easier to put the piece together when the project is done. The drawers usually fit best in the slot they came out of. Step 1. Remove the original hardware. I use a screwdriver instead of a drill to remove the original hardware. The JTS likes to use the drill for this part of the project. Step 2. Drill a hole for the new hardware. I selected a knob to replace the old hardware. I drilled one hole in the center of the drawer for the new knob. If you decide on a knew pull and the width is different from the old hardware you will need to measure and mark for two new holes. I usually select a small bit first and drill a starter hole. Then I drill a larger hole using a bit the size of the screw for the new knob. Step 3. Protect the inside of the drawer. You may want to skip this step depending on how OCD you are. 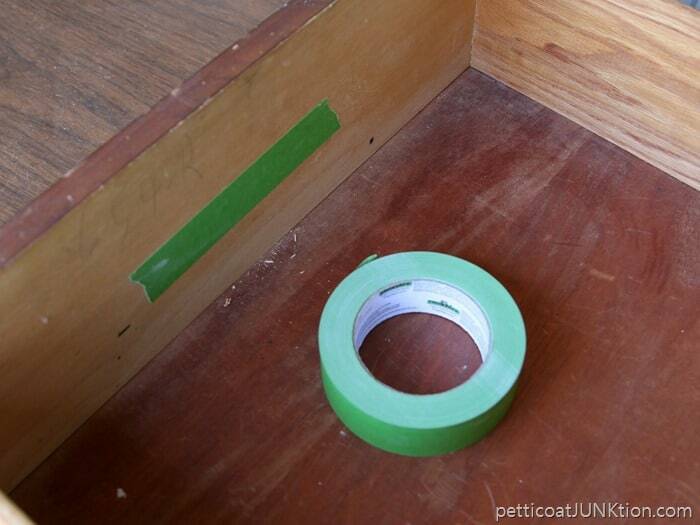 I cover the holes on the inside of the drawer with painters tape to keep the wood filler from seeping into the drawer. 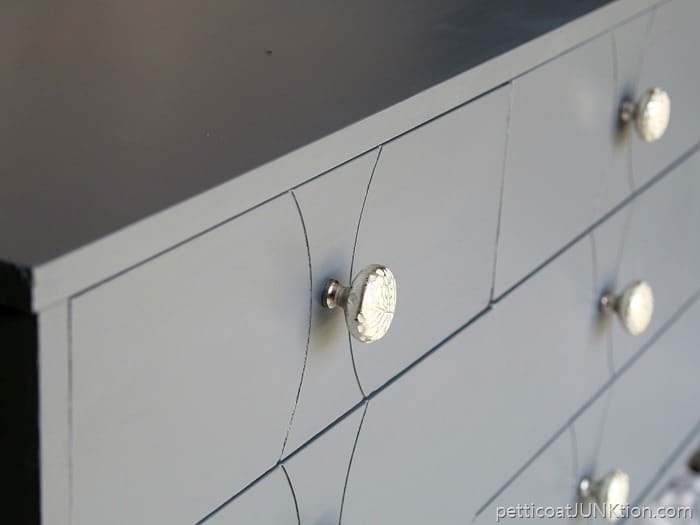 I also cover the holes when painting to keep the paint from seeping into the drawer. Step 4. 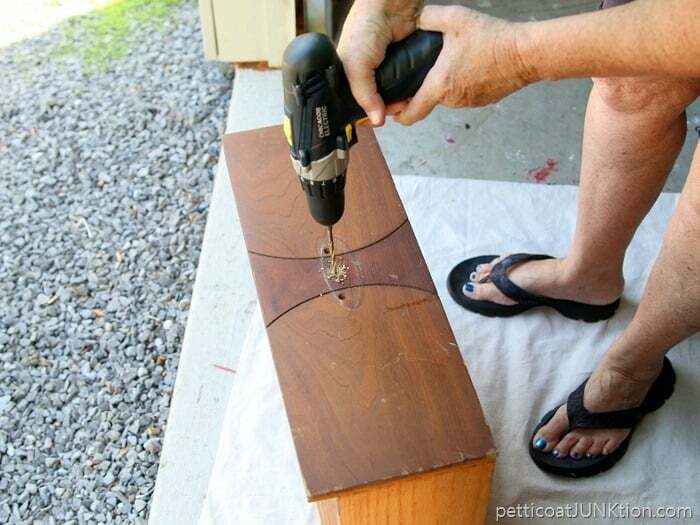 Fill old screw holes with wood filler. 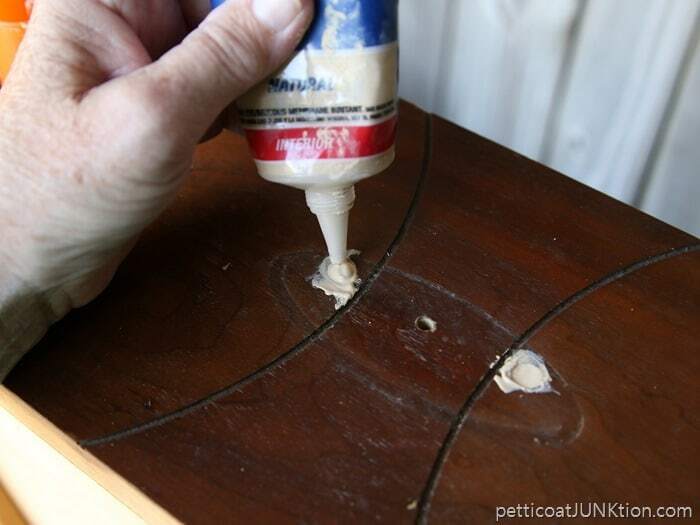 Next choose a good wood filler and fill the old screw holes with the filler. You may need to repeat the process two or three times. As the wood filler hardens it shrinks. 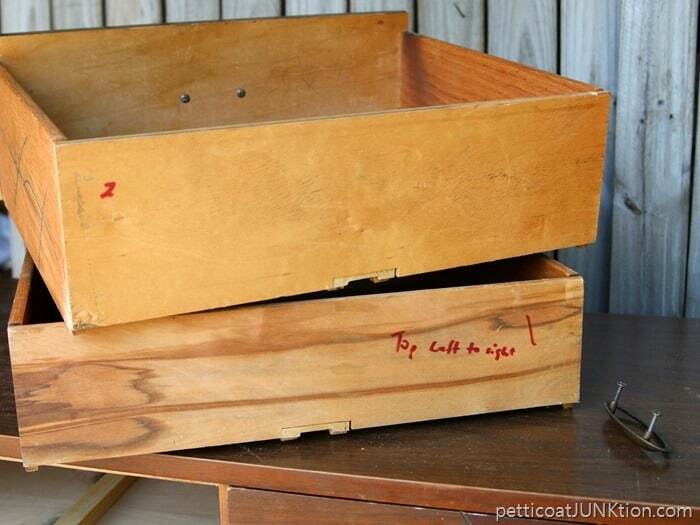 Be sure to fill the hole so it is level or above the surface of the drawer. Step 5. Sand the wood filler. 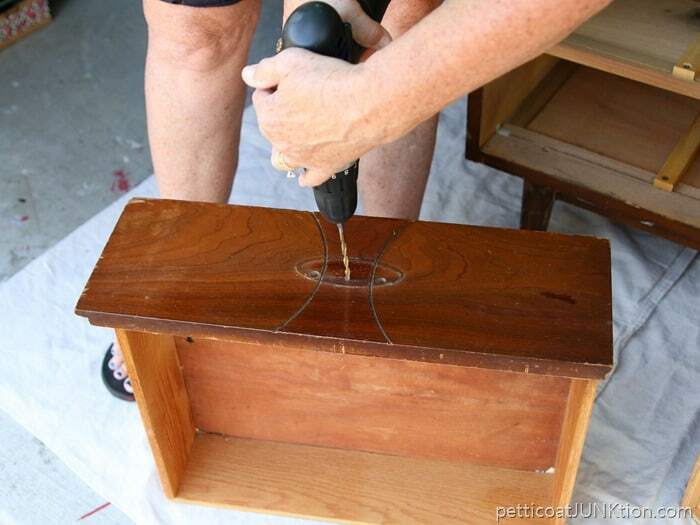 Sand the wood filler until it is flush with the drawer. 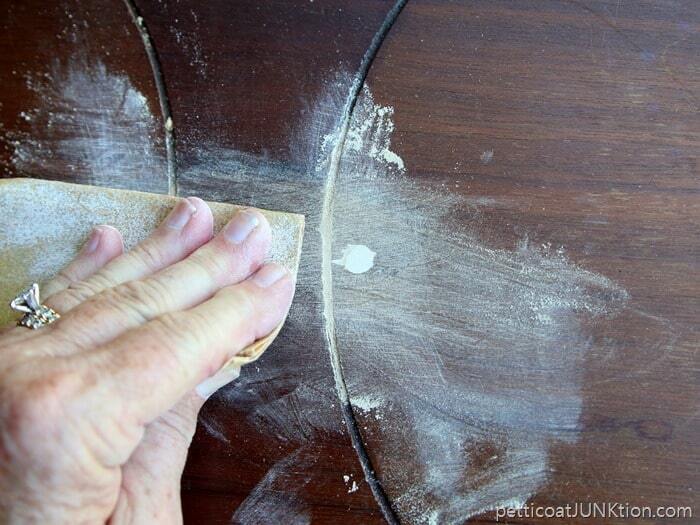 I do this by hand with 100 grit sandpaper. 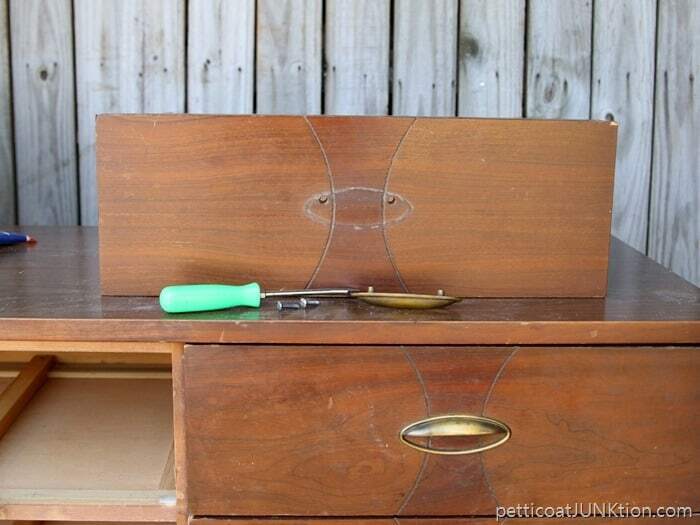 Now you’re ready to paint the drawers! Step 7. Add the new hardware. The last part is easy. 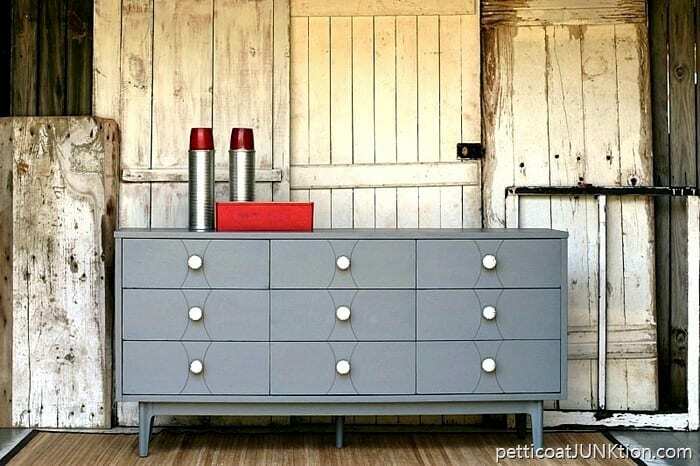 Just screw the new knobs onto your freshly painted furniture. What a difference from the original look. 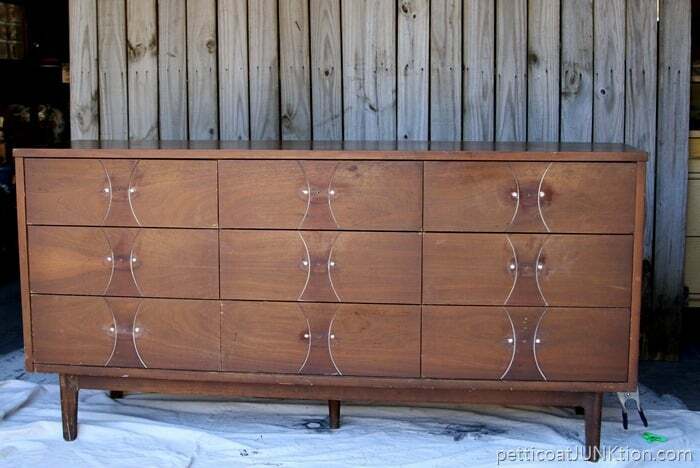 How do you think the dresser/credenza would have looked with the old hardware? The paint is Beyond Paint in Pewter. 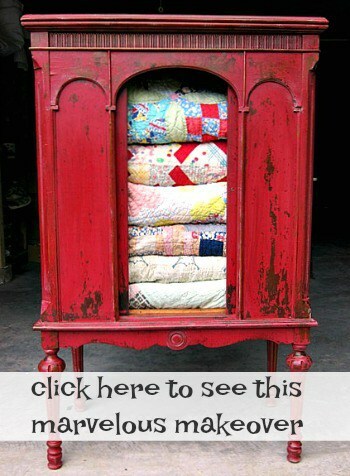 See the paint tutorial here…Beyond Paint Furniture Makeover with Tutorial. That’s it for today. I hope you guys enjoyed the tutorial. I just returned from 9 days in Arkansas and am trying to get back in the swing of things. I may be here tomorrow with some of my Christmas decorations. Have a great day. Amazing inspiration! I like this post. Thank you so much for showing step by step. Very pretty. I really like the knobs that you chose.